I was wondering what I should get to feed my corals. I have soft corals only. I have Kent Marine Iodine, Coral-vite and Essential elements. What else should I feed them? Thanks for the help. 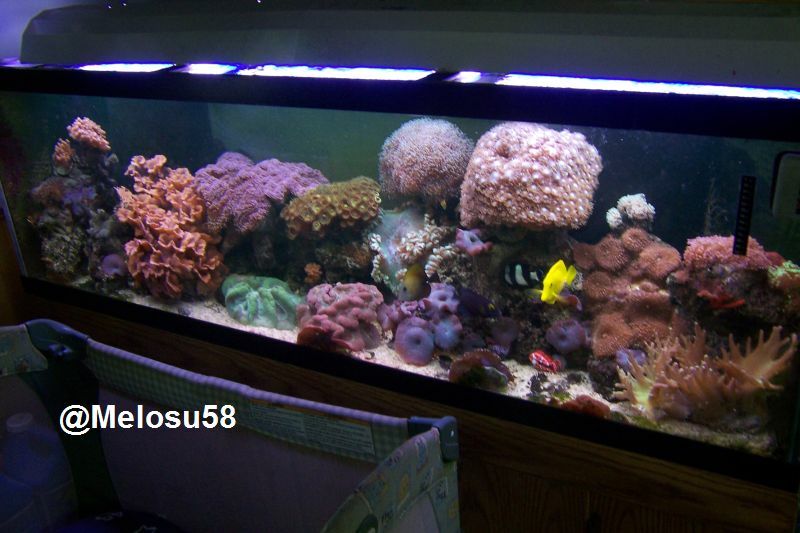 Its a great all around fish/coral food. Just make sure you don't overdo it. I wouldn't Coral-Vite or Essential or anything like that. It is basically pollution in a bottle, IMO. Agreed. Your corals will actually get what they need at tank feeding time if provided with the proper meaty foods. Lighitng is also part of their diet. It is very dangerous to dose iodine unless you actually test for it. It does nothing for your coals anyway. What lando says...Never dose anything like iodine unless you test for it first.. Too much and you can hurt the tank. I use DT`s and oyster eggs. Really perks them up. I also use coral vite. been using for 8 yrs with good results.